Thomas Charlie was born on June, 1 1952 in Canoncito, New Mexico (about 30 miles from Albuquerque). He learned his family’s tradition of jewelry making and silversmithing by watching his parents at work. Thomas is married and has three children. His children are learning the art of silversmithing from their father and the tradition is carrying on. Look for the TC stamp of Thomas Charlie’s work. 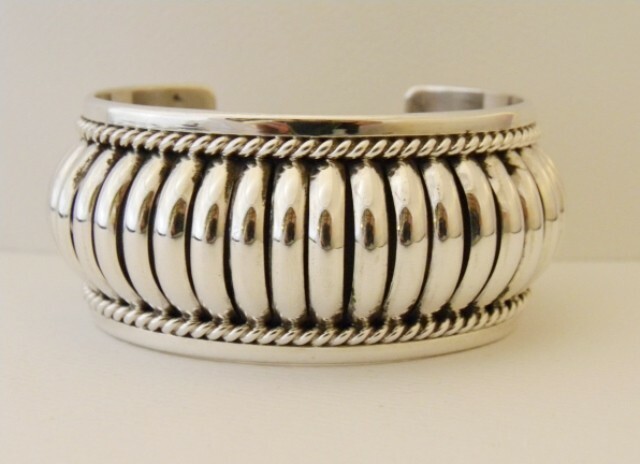 He does exquisite traditional and contemporary silver jewelry. Thirty years of creating jewelry has made Thomas Charlie a master of his craft. His individual designs are reflections of his creativity and an expression of his spirit.